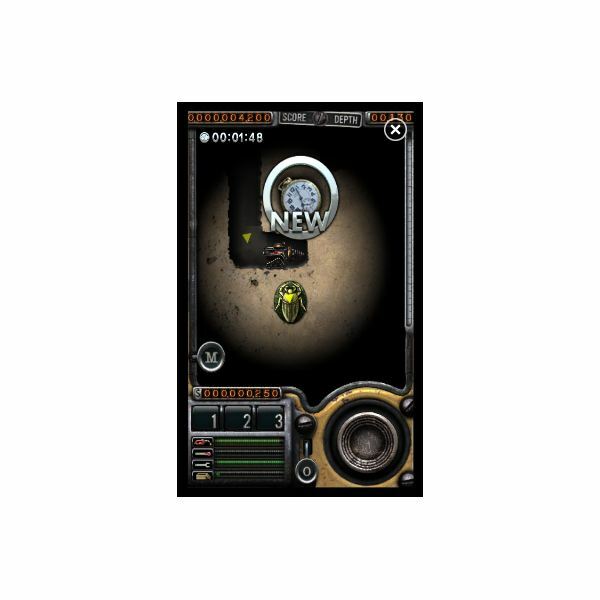 This is an interesting game for Windows Phone 7 – complete with Xbox LIVE integration, I Dig It is effectively a treasure hunting game crossed with a resource management game, in which the player can search for lost artefacts or drill under the USA looking for precious stones. 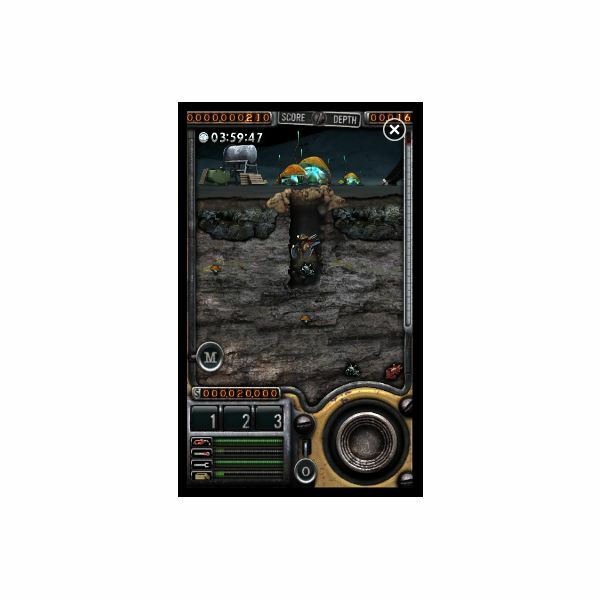 Currently one of the top paid apps in the Windows Phone Marketplace, I Dig It requires strategic thinking and attention to details such as cargo space, oxygen and trading. It offers pleasant graphics with easy to use controls. Could I Dig It turn out to be a game that you really dig? Or does it need some polishing? Starting out on a farm, the aim of I Dig It is to mine for resources that can be sold. Profits should be used to repair and equip the drill (extra fuel, cargo space and drill bits are available), initially with the aim of saving the farm from bank foreclosure. 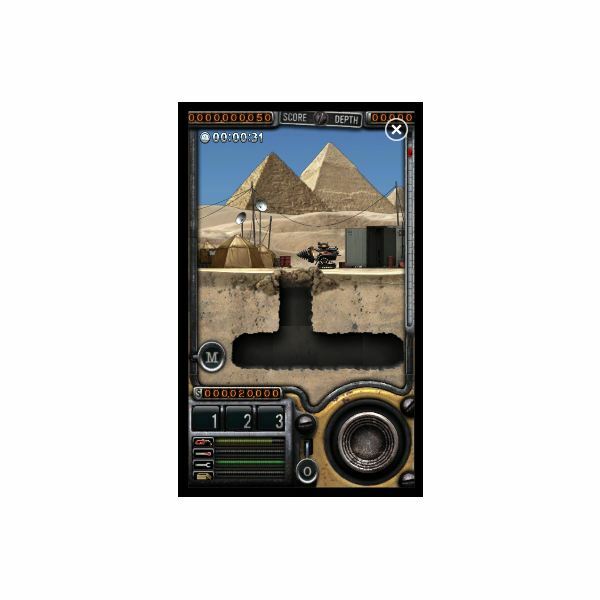 Later levels see the drill touring the world and drilling in other landscapes such as the pyramids of Egypt, and all of this is made possible thanks to a small software joystick that you can use to control the drill. One issue with control is that it is easy to use up too much fuel if you accidentally push the controller up slightly, resulting in your drill both rolling left or right and flying. This can lead to you being stranded, but luckily there is a save option each time you return to the surface. The graphics are pretty rudimentary – there isn’t much in the way of animation beyond the nicely designed drill vehicle, which can both drill and fly thanks to a small jet pack, which is useful for getting back to the surface. As far as audio is concerned, I Dig It sticks to basics, with a drill sound effect that isn’t too far removed from audio static. 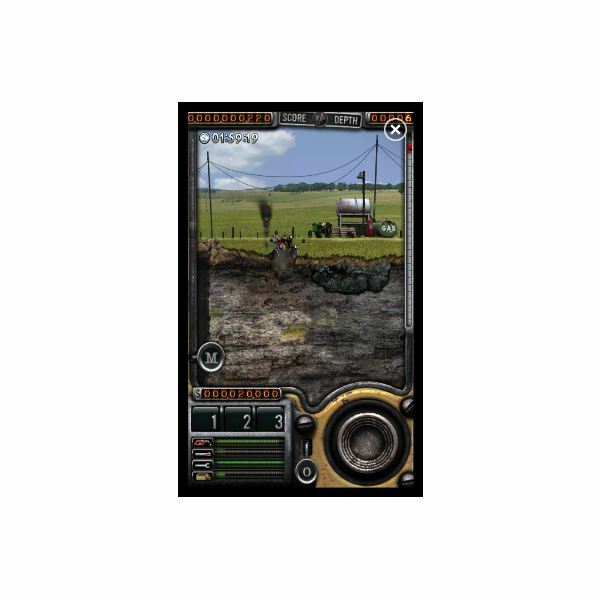 Collected objects and achievements are displayed with prominent graphics and sounds, while the status of your drill (fuel, condition, cargo space) are all displayed and have accompanying alerts when things are getting desperate. I Dig It is available from the Windows Phone Zune Marketplace for just £2.49, the lowest price you can currently play for a Windows Phone 7 game with Xbox LIVE integration. Problems have been reported on the HTC HD7, where the game is said to crash during launch, basically making the title unplayable on this device. While there is a possibility that the usual fixes for download and installation issues might work, owners of the game await a fix; no such problems are reported on any other Windows Phone handsets. A fun game, I Dig It benefits from a reasonable price and varied gameplay. At one moment you’re planning how to approach a particular resource with the least fuel expenditure and the next you’re struggling to exit the mines without losing fuel, regretting passing over the chance to buy that extra fuel tank. With Xbox LIVE achievement points up for grabs, I Dig It is a good option for anyone wanting a pleasurable, non-intensive gaming experience while away from their console. All references and screenshots from I Dig It for Windows Phone 7.